In July 1996, Dr. Göran Hedenblad, Lund Institute of Technology, Stockholm, Sweden performed experiments measuring the relative humidity within concrete by performing in-situ testing at different depths within a concrete slab. His work identified a Relative Humidity (RH) gradient within a slab that had its surface exposed, where the RH increased as depth into the slab increased. Hedenblad went on to show that after the concrete slab was covered by a flooring material with minimal permeability, moisture was prevented from migrating out of the concrete surface. During the process, the RH gradient equalized to an average RH throughout the slab that is equal to the RH at 40% depth of an uncovered slab drying from the surface only (resting directly on a vapor retarder), or equal to the RH at 20% depth of an uncovered slab drying from both top and bottom. These findings became the foundation and basis for the development and publication of ASTM F-2170, “Standard Test Method for Determining Relative Humidity in Concrete Floor Slabs Using in situ Probes.” The purpose of the F2170 standard is to provide a standardized practice for which to perform an RH measurement within the concrete. The intent of the standard was to provide a practice that would result in measuring the RH at a specified depth (40% depth for slab drying from top only, 20% depth for slab drying from both top and bottom. The standard describes how to: 1. Drill a hole. 2. Determine the proper depth. 3. 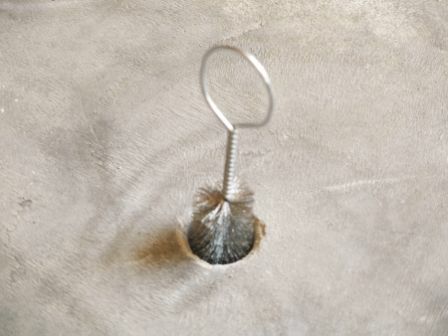 How to insert a “liner” into the hole that will allow for sealing off the concrete sidewalls.4. The placement of a seal at the top of the liner to seal off the internal environment. 5. The equilibration of the internal environment relative humidity and 6. the accuracy of the testing instruments employed in the measurements. Photo 1: Is there a vapor retarder? 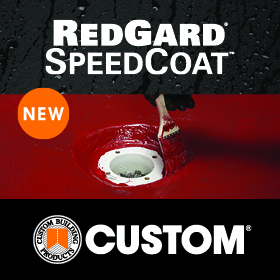 Vapor retarders are designed for the sole purpose of keeping moisture from outside the slab from getting to the slab, both now and in the future. There are a lot of slabs that have a plastic membrane not intended for vapor retarders, but are used because they are inexpensive. A good vapor retarder will be between 10 and 20-mils in thickness and will be made of virgin polyolefin plastic. Shown is a low quality vapor retarder in the photo. 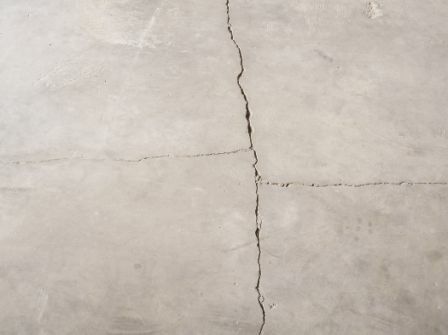 Be aware of the type of slab you are installing flooring over. Some are post-tension slabs, which means there are high-tension cables (about 40,000 pounds of tension) running throughout the slab and just under the surface of the concrete. Do not to cut or drill the concrete for fear of hitting one of the cables. 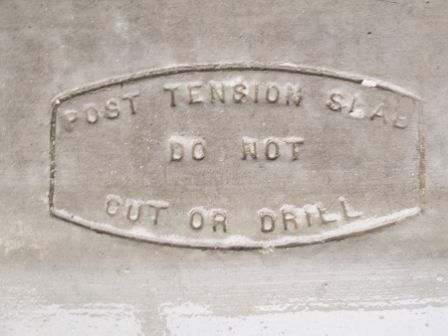 If you damage a post-tension slab, it must be fixed. Before drilling, determine the thickness of the slab, as the hole must be depth specific. A hole too shallow will yield a drier result and a hole drilled too deep will yield a wetter result. The F2170 Standard clearly specifies the Drill-to-Depth from Top of Slab as 40% for slab drying from top only, and 20% for slab drying from both sides. 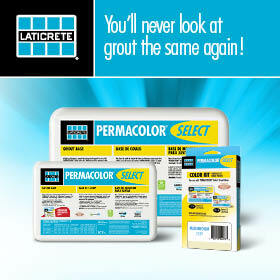 In selecting a spot to drill, stay away from cracks and maintain a distance of five feet from the outside walls. 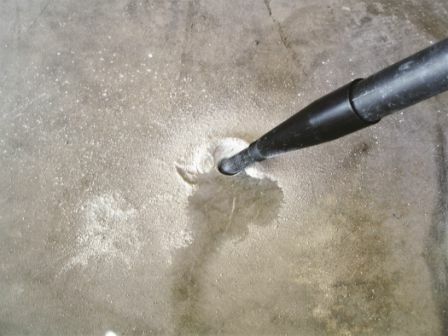 The purpose of drilling to the specified depth is to expose the concrete at that depth, so moisture can migrate out of the concrete to accumulate and equilibrate within a sealed-off measuring environment that will allow subsequent measurement to determine the equilibrated RH level at the specified depth. Since the concrete has an RH gradient throughout the depth of a slab that has an exposed surface, it is paramount to measure the correct RH at the correct depth. The type of drill bit selected is important. A two-fluted carbide bit will tend to cut a hole slightly out of round and will not allow a proper seal of the sleeve. A four-fluted bit will cut a much rounder hole, which means you get a tighter fit to seal the sleeve off from the rest of the hole. After drilling the hole, thoroughly remove any loose impediments that might affect the sensor using a wire brush. Dust is a killer of the sensor’s accuracy. It is imperative to remove all dust and debris as fine dust will contaminate the sensors and render them inaccurate. Vacuuming is the only way to accomplish this. 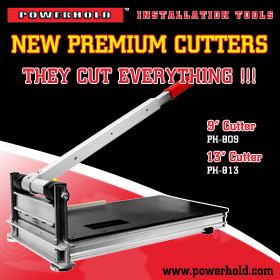 The F2170 Standard clearly specifies to “insert hole liner to bottom of hole. 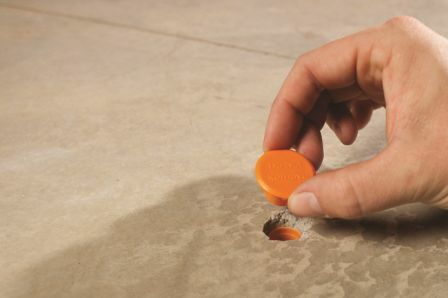 Place rubber stopper in upper end of liner and seal around liner to concrete at concrete surface with joint sealant, caulk, or gasketed cover.” Section 6.2 also defines the hole liner as a plastic or non-corroding metal tubes, inside diameter not more than 0.04 in. (1 mm) greater than the probe’s external diameter, of sufficient length to seal the hole to the desired depth. The main purpose of the liner is to isolate the very bottom of the concrete of the drilled hole at the specified depth to provide a measurement environment to perform the RH testing. 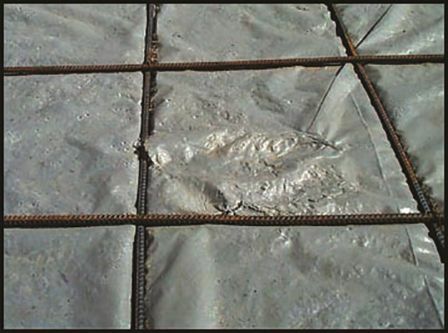 Additionally, the liner should seal the sidewalls of the concrete at the open bottom of the liner, and the seal at the concrete surface to prevent moisture from migrating out of the drilled sidewalls and out the surface, which would provide a drying out mechanism for the local concrete slab area under test. All Relative Humidity (RH) probes must be calibrated for accuracy on a regular basis — a minimum of once per year. Dust and everyday usage can throw off the calibration. 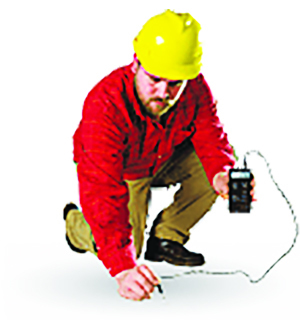 Many parties paying for moisture testing will ask for your calibration certificate. Successful placement of the probe into the sleeve requires the time necessary for the probe to reach equilibrium with the slab. The time required to reach equilibrium varies depending type and condition of the probe. The F2170 Standard clearly specifies the need for the measurement sensor or probe to come to thermal equilibrium with the concrete: “Probe shall be at the same temperature as the concrete before reading” and for the sleeve environment to come back to equilibrium once the sleeve is uncapped and a measurement sensor or probe inserted into the sleeve. The F2170 Standard clearly requires to Check for Drift. As the “meter reading must not drift more than 1% relative humidity over 5 minutes.” Furthermore, the Standard states, “Equilibration may take several hours to several days depending on factors such as the initial temperature difference between probe and concrete.” With some sleeves/probes, the sensor in the sleeve does not need time to equilibrate after the initial placement of the probes..
Dead volume is the volume of air being measured for relative humidity. Since relative humidity gradient increases as you go deeper into the slab, is the sleeve allowing a true measurement at the 40% level or are the sleeves allowing a diluted measurement? If the sleeve is allowing relative humidity to be diluted, the dead volume of relative humidity to be measured from other levels of the hole are going to be lower than if it was taken at the prescribed 40% level. Some of the relative humidity measurement systems do not take into account the existence of a humidity gradient within a sealed sleeve and many testers are using the 1% RH Drift per five minute equilibration rule to determine when a sensor has been adequately equilibrated. Concrete slabs are being determined to be ready for a floor installation, when in fact the concrete slab actually contains a much higher level of moisture than is appropriate for floor installations. ASTM F2170 committee members are currently undertaking an experiment to help identify the best way to modify the F2170 standard, so RH testing instrument manufacturers will have a better definition of a well-designed sleeve/sensor system. 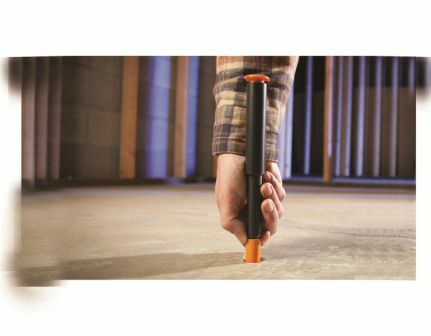 Then, flooring inspectors will have a better standard to determine the true moisture content of a concrete slab. The manufacturers and installers of materials that have extreme moisture sensitivity need to have testing results that are accurate. Epoxy terrazzo, rubber, vinyl tile, wood flooring and adhesive manufacturers need to have accurate measurements.